Exciting new construction pics: click here to see the work-in-progress on moving the Gold Line tracks in Little Tokyo in order to build a rail tunnel entrance for the Regional Connector project. Things to do while whilsting away the time on transit: the Buzzfeed state capitol test. In first grade, I aced it. Approaching 50 trips around the sun, I managed a pathetic 39. On the upside, the test includes all the state flags. 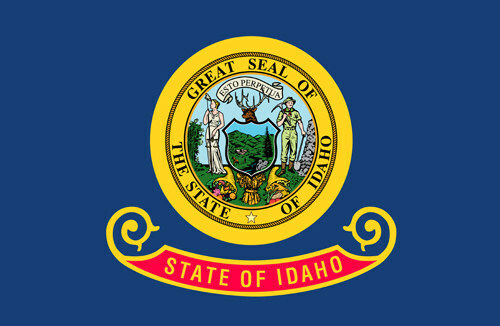 Check out the Idaho one: no potatoes! 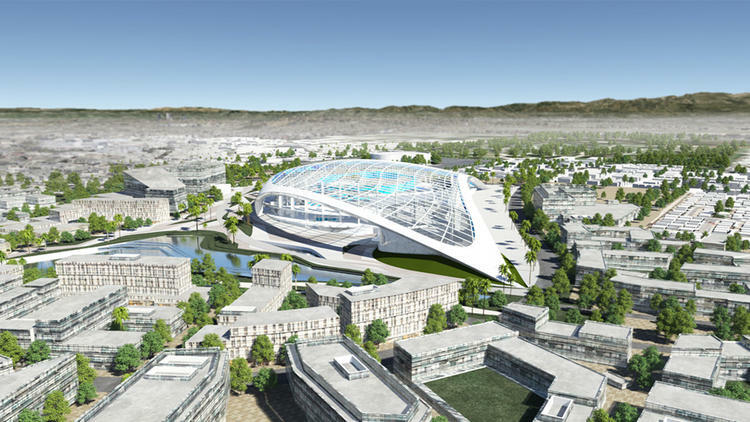 A rendering released in early 2015 of the stadium proposed in Inglewood. Whew–weather protection! UPDATE: As you probably heard, the NFL on Tuesday approved the Rams and gave the Chargers the option of moving here. If it happens, the new stadium may open about the same time as the Crenshaw/LAX Line. The Downtown Inglewood Station will be about a 1.8-mile walk from the stadium — a manageable walk for some fans and hopefully there will also be a shuttle bus. Of course, putting a stadium where there used to be a stadium (well, horse track) isn’t the most awful idea, but I do find it interesting that the NFL had a lot more say about a stadium site in our region than did regional planners. If this happens, it remains to be seen where both teams will play until the new ballpark is built. The Expo Line-adjacent Coliseum is a possibility, which means the train could have some pretty busy weekends between pro football and USC football. FWIW, there is no shortage of NFL stadiums very near light rail or subway transit. The list includes stadiums currently used by the Jets, Giants, Eagles, Browns, Rams, Cardinals, Texans, Chargers, Raiders, Seahawks, Broncos, Bears, Vikings, Panthers, 49ers, Falcons, Steelers, Ravens. The Saints play near a streetcar line and my poor, persecuted, misunderstood Bengals will be near the new Cincy streetcar, although everything is within walking distance anyway in DTCI. Hopefully by the time the NFL returns to the NFL, illegal and dirty hits such as this one will be outlawed and enforced by officials, who will hopefully also be officiating games with their eyes open. If a hit such as that one is legal, then the NFL can’t possibly be serious about protecting player brains. Related! : Here’s a story from last winter about the Steelers backing out of a deal to help pay for extra transit service to their games. In 2016, the Chargers will play the following teams at home: Denver, K.C., Oakland, Jacksonville, Tennessee, New Orleans, Tampa Bay and Miami. Can’t wait for that Chargers-Jags tilt! I know, I know…actually I dig the Chargers and would accept a free ticket to watch Phillip Rivers and Antonio Gates play. The Rams 2016 home schedule is a little more interesting: 49ers, Cardinals, Seahawks, Falcons, Panthers, Bills and Dolphins. In other words, three potential Super Bowl champions playing here compared to zero potential Lombardi Trophy recipients for the Chargers. I also predict Giants fans will outnumber Rams fans 2:1 As it turns out, the Rams play the Giants in London. 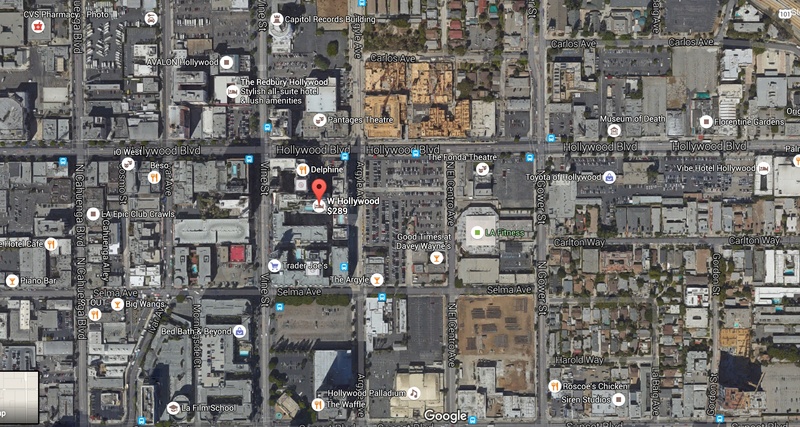 There’s no shortage of parking lots on the eastern side of Hollywood, as this view courtesy of Google Maps shows. A development project has begun on the big parking lot on Hollywood Boulevard next to the W Hotel and the Hollywood/Vine Station on the Red Line. “The project, which is rising from a 3.18-acre site at 6200 Hollywood Boulevard, will consist of a series of seven-story buildings featuring 507 apartments and approximately 60,000 square feet of ground-level retail and restaurant space,” reports Urbanize LA. A man was shot to death on a BART in West Oakland on Saturday night; the suspect remains at large. In this post, Roger Rudick — who spent many years writing about the L.A. transit scene — looks at some of the criticism of policing on BART and also gently reminds people that driving is often statistically more dangerous than transit. Jan. 7: A snowy owl on a traffic cam and is Highland Park finally (ahem) going to get popular? 1.8 miles is not walkable. That would be a 40 minute walk. Most people’s threshold is 10 to 15 minutes. There needs to be a shuttle for stadium patrons from the Inglewood station. Dedicated fans will do it if they can. I used to see it when the 49ers were at Candlestick Park, which is about the same walking distance from the nearest train station. I forget whether they offered a shuttle, but it certainly would make sense for the new stadium to do that. Have you seen the average NFL fan? They’re lucky to get from the couch to the fridge. It’s sad to see that we’ve let this group of grifters back in town. It’s the same distance from the Rose Bowl to the Memorial Park Gold Line station, but with a lot fewer hills. I like LR, but building a rail spur for a (bi)weekly event is just dumb. Given the probable ticket prices, most attendees will likely arrive by limousine or luxury private coach. Have you considered that there are plenty of other uses for a football stadium when not in use by the NFL that could warrant the need for a direct rail station to the stadium? Not realistic at all. No ROW for starters. You just can’t put light rail anywhere. Also, there is the cost of several hundred million dollars. No way the NFL team is just going to write a check for a quarter billion. The Rams play the Giants in London, get your facts straight. Why is there this belief that football fans, unlike fans of any other sport, won’t use transit? I’ve never understood it. We agree — it is quite interesting that the NFL has more sway than the transportation planners. Amazing to say the least. Speaks volumes to what input our politicians value. With that being said, a 1.8 mile Bicycle ride is within reach. This would require more space for bicycle ‘on board’ storage than is available. Last Friday, my wife and I rode the metro down to Culver city with our bicycles. There definitely needs to be consideration of either larger spaces for ‘on board’ bicycles or the removal of half the seats in a car. Metro should start thinking about change now rather than waiting. The current conditions are difficult to navigate with a bicycle on board.